In the first part of our Mother’s Day series, we catch a glimpse of how extremely personal jewellery is, and how every piece tells a story. While many of the tales we hear in our shop are joyous, others unfortunately aren’t. Last year a customer came into the shop to discuss a specific and very poignant piece that she wanted us to make for her. 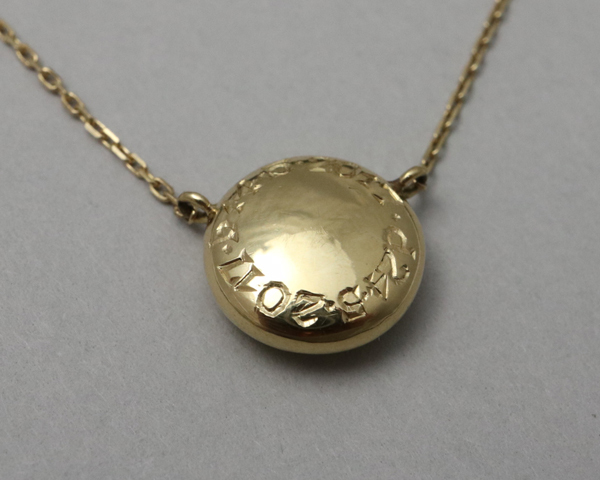 Very sadly her new born daughter had passed away and our customer wanted to commission a special pendant that she could wear every day that would hold some locks of her daughter’s hair, as well as embodying her daughter during and after her short life. We were honoured to be entrusted with such a special and significant piece of jewellery and we started to talk through the design details with our customer. 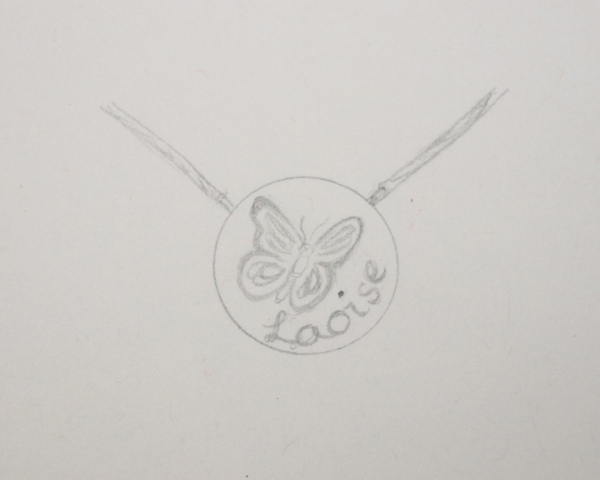 She was very keen for the pendant to remain small and delicate while including an engraved butterfly and her daughter’s name and important dates. We drew up a number of different design options. Once the details were clear, we got to work in our in-house workshop. 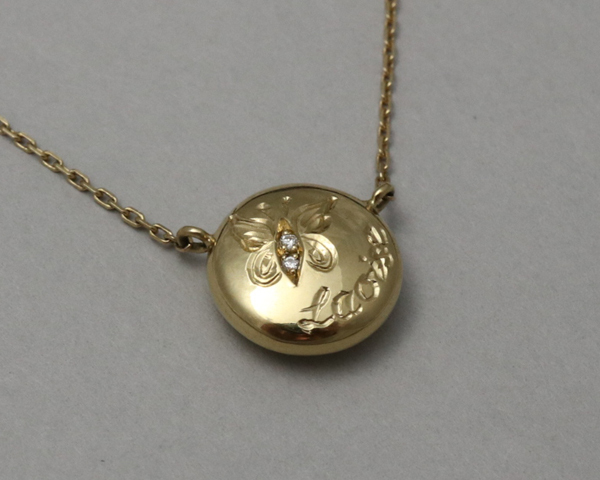 Sometimes smaller pieces of jewellery are trickier than larger ones and that was definitely the case with this beautiful keepsake – for such a delicate and refined pendant, it passed through many, many hands! 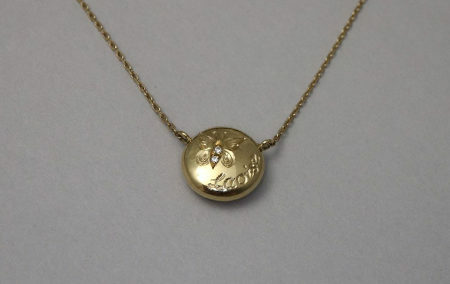 We made the pendant in 18ct gold and asked our hand engraver to work his magic on the tiny butterfly, name and dates. Then our stonesetter set two small round brilliant cut diamonds in the body of the butterfly. 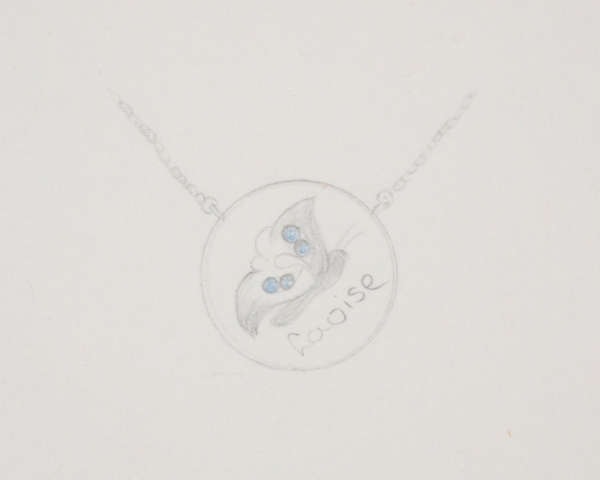 The final and most important step was to gently insert the curls into the pendant and carefully laser weld it closed. 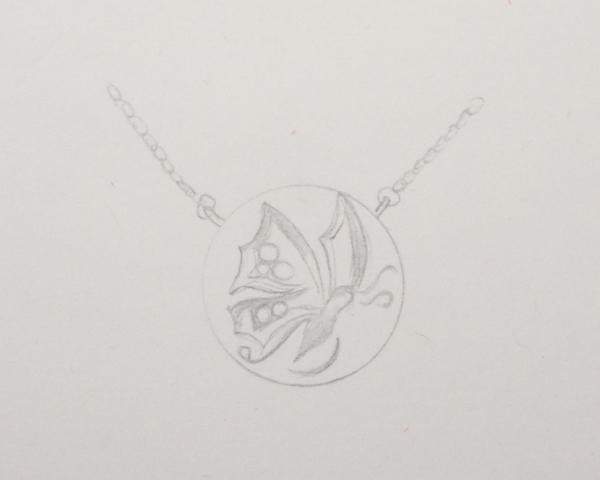 To be commissioned to handcraft such a special pendant was an absolute privilege. Our customer and her family were delighted with her new piece, as were we! In this case, small is beautiful, significant and says so much.